Phil came to me with a request to pay tribute to one of his favorite places in the world, Lofoten, Norway. 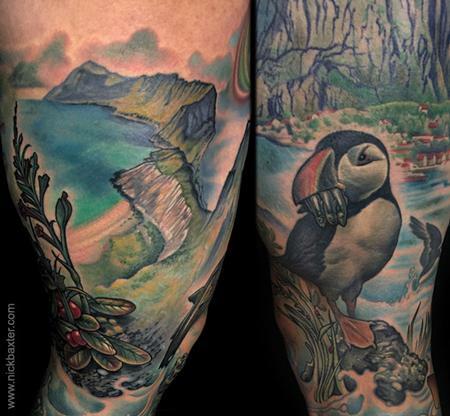 I designed a full leg sleeve capturing some of the most iconic landscapes and wildlife of the region. Here are some detail shots of the piece. See the entire leg in the next image in this tattoo gallery.